Leader of Opposition Prem Kumar Dhumal has taken a jibe at the Congress led state government’s celebration of completing two and half year rule and claimed of heading towards midterm poll. 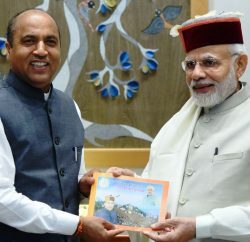 Former Chief Minister said the internal bickering in Congress and open revolt by certain Congress legislators and Ministers over various issues were indicative of that Virbhadra Singh government will not complete its full tenure. 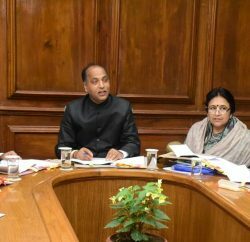 Dhumal said it was a matter of grave concern that despite liberal financial assistance by the Narendra Modi government, Congress government has miserably failed to maintain the condition of roads, drinking water and related schemes. 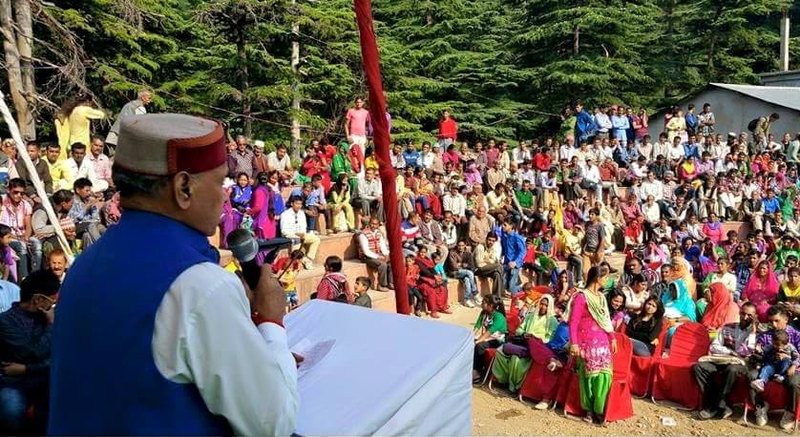 He accused Virbhadra government for promoting land, liquor, forest, mining and transfer mafias ever since it assumed power in the state and instead of accelerating the pace of development and launching the welfare schemes seems to be focusing on settling internal scores with each others ever since it come to power, Dhumal rued. However, Himachal Congress has criticised Dhumal and termed it an outcome of frustration. State spokesperson Sanjay Chauhan said that Congress Govt has got people’s mandate and it would complete five year term. 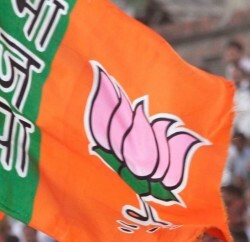 BJP leaders were afraid about the popularity of the Congress government in the state. He claimed of fulfilling all its poll promises, he quipped. Terming BJP & Dhumal’s opposition of Sports Bill as unwarranted, Chauhan said that the Bill would go a long way in promoting sports and sportspersons in Himachal and would bring transparency in the system.